See no evil, hear no evil, speak no evil! 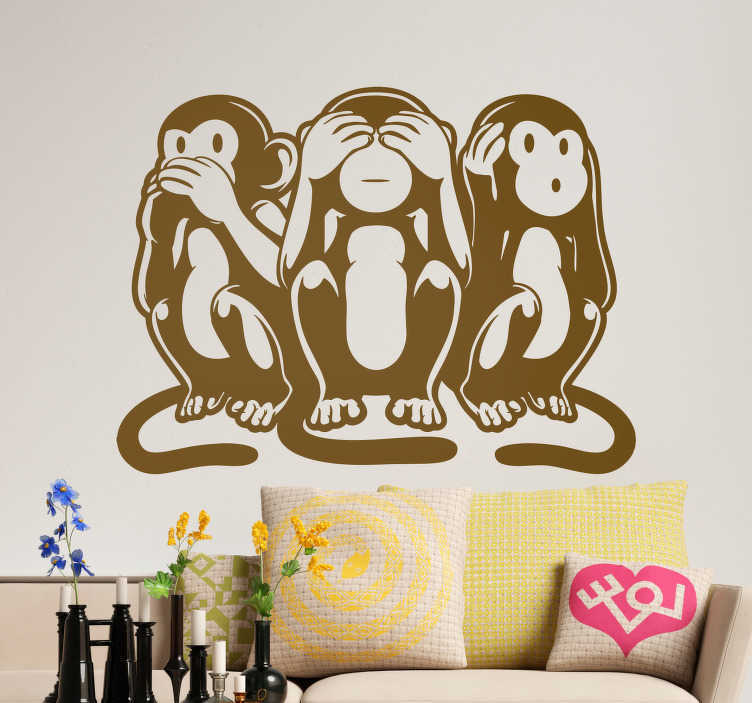 That is the classic proverbial proverbial portrayed by this fantastic room decal and the three monkeys! One is covering his eyes, one is covering his ears and one is covering his mouth, to reflect it! So, whether you are a fan of the classic film with Gene Wilder and Richard Pryor, whether you love the emojis or whether you just love the proverb; choose your size, your colour, and buy this animal wall sticker now!